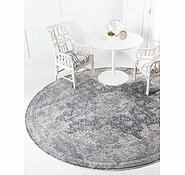 8' 4 x 8' 4 Havana Round Rug is rated 4.9 out of 5 by 137. 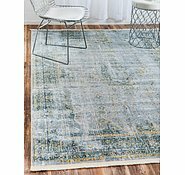 Rated 4 out of 5 by Sha28 from Lovelyneigu I received my new rug promptly from AU rugs. Initially I was a little disappointed as it was much lighter in colour than some of the shots on the previews. it was little confusing as in some shots the rug looked quite light and in close up shots, it looked quite bright and colourful as I hoped it would be. I chose it as I have a lot of art work and various colourful Manchester that I like to decorate with in our bedroom. But the slightly more subtle colour hue has meant that in some ways it works quite well. 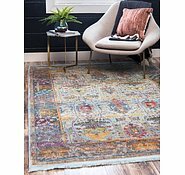 My suggestion is that AU rugs carefully take photos of the rugs that best represent the colours as in some photos they are quite varied and not too clear. I am pleased with the price point and the service however and think their range is quite varied as there is a lot to choose from. Rated 5 out of 5 by Hels and Jeff from Couldn't be happier We took a punt and bought this Havana rug online and were concerned as we hadn't seen it or felt it but it's gorgeous, thick and soft and the faded colours make it look antique and it looks like it's been on our floor for years. Perfect in every way. Dogs agree as you can see!! Rated 5 out of 5 by Liza from Definitely not.. you get what you pay for here! Firstly I was very suprised with how quick I received my 2 rugs, within days of ordering I received them! 5 stars there! As my title says.. definitely not.. you get what you pay for here! 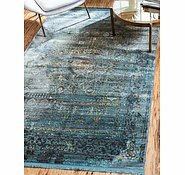 These rugs are cheap yet don’t look it or feel it! I’m very pleased! 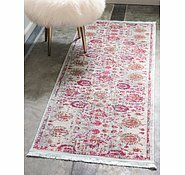 The rugs are light yet feel of good quality. They suit the areas of the house I purchased them for. The colours are true to the pictures on the website. For rugs apparently made in Turkey you can’t beat the price! 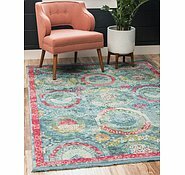 I will definitely be purchasing more rugs from AURUGS! Rated 5 out of 5 by Anonymous from Oh my goodness!!! The best rug we have ever bought!! It’s a lot more lighter than expected and lifts the room like you wouldn’t believe. This is my favorite pile as it’s really easy to clean and vacuume, have the same pile in the lounge room and love it!!! You won’t regtret this perchase!! if there were more stars I would give them!! Rated 4 out of 5 by Juliet from Excellent for the price. 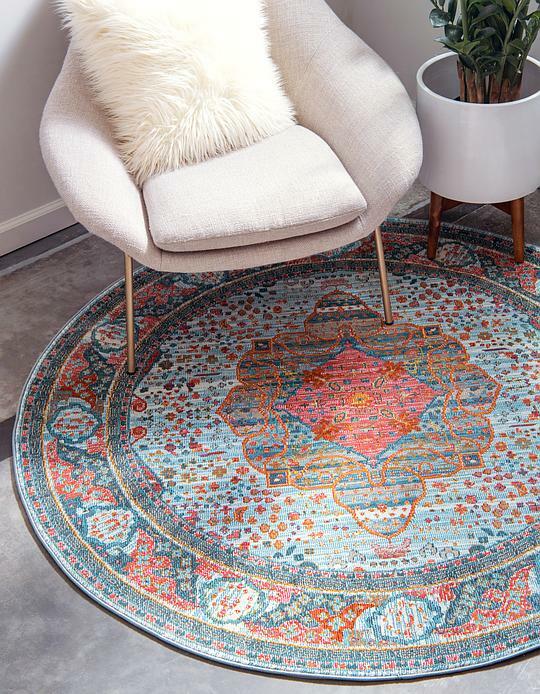 This rug in very nice and does not look too shiny. The fringe looks cheap though so cut it and zigzagged it in my sewing machine, to match my distressed chic look. I sprayed the rug with softening lotion and let it dry. Worked great. Now it looks like a million bucks on my ottoman. Just what I wanted. Will buy again but seller should tell people that they are based overseas. Rated 5 out of 5 by gchas0 from As smooth as silk! This carpet is absolutely beautiful. It appears to shine like a silk rug and is very soft under foot. The colours are definitely not as vibrant as the pictures online, but beautiful all the same. The fringing matches the rest of the carpet well. Well worth the money! It also arrived very quickly. 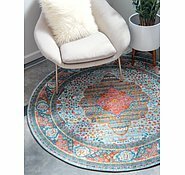 Rated 5 out of 5 by pols from Beautiful quality rug! 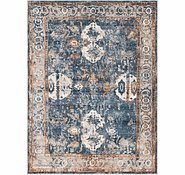 This is a beautiful and good quality rug that brightens up our living room. It is soft to the touch and easy to vacuum. Should have probably purchased a larger size but it suits our needs. Arrived quickly and well packaged. 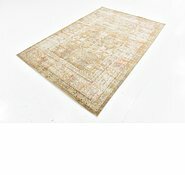 How much is shipping to Adelaide, South Australia? I would like to inform you that we were not the ones that rejected your review as it may have been from our ResellerRatings.com or on Bazaarvoice. We really do appreciate your compliment! We sincerely apologize for any inconvenience this may have caused you. I see you have this rug one size smaller in green and red. 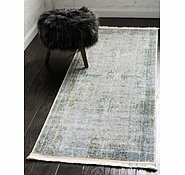 Could I possibly order this rug in blue in that size being 120cm by 180cm? I would like to inform you that we do not custom cut any of our rugs. We sincerely apologize for any inconvenience this may have caused you. Over all it takes about a week to all territories of Australia. 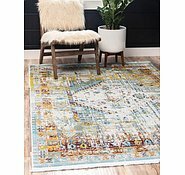 are the rugs in australia and are delivered free?? 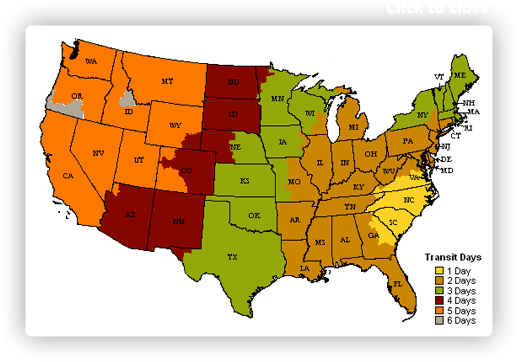 I would like to inform you that our rugs are shipped from the United States. We offer FREE shipping to your door on all rugs with no minimum purchase required. Also, buyer will not have to pay any taxes. 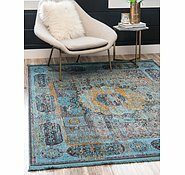 The prices listed online are the final cost for each rug. Unfortunately, we do not offer any third party coupons for discounts of our items. 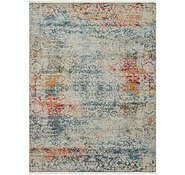 Hi, will you get the 255cm x 305cm Havana Rug (SKU# 33139672) back in stock?